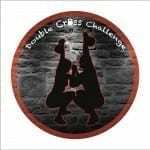 In 2017 we proudly presents to you the 4th Double Cross Challenge hosted by House of WODs (formal Royal Cross Gym). 2 days and a well-known location around of Lake of Bánk . Varied WODs and new challenges are looking forward to your registration. The event – as it is named – will be organized for couples who practiced crossfit based sports. Female-Male couples and Male-Male couples in RX, Scaled and Masters category. The high level quality will be granted by well-known sponsors such as Concept2. After registration the athlete couples must prepare a Qualifier workout video. Whether you are from Hungary or the international outfield. We do our best to make this challenge unforgettable. In order to reach this goal we offer you: Offical Crossfit Judges, special and rough WODs, a lot of prizes.